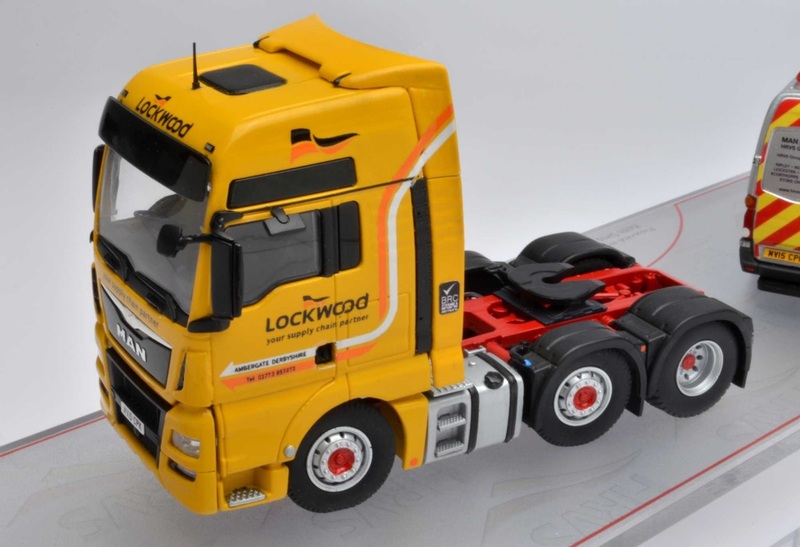 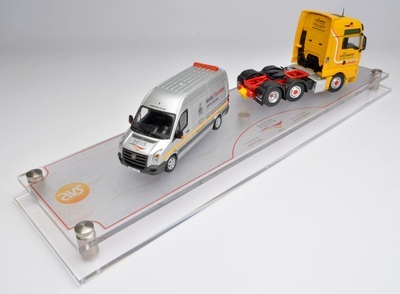 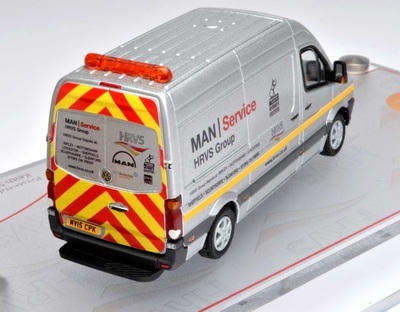 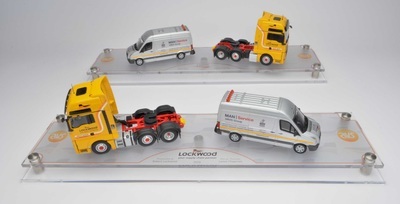 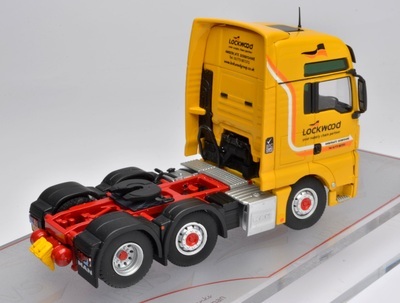 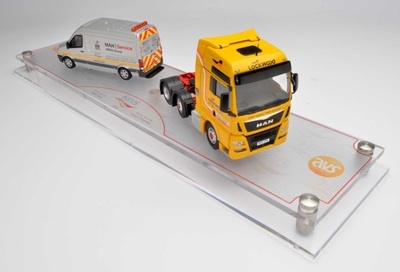 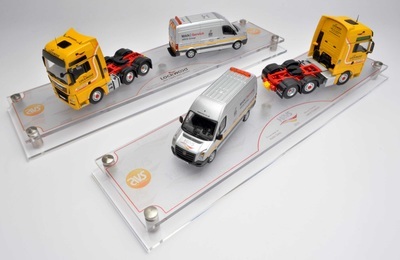 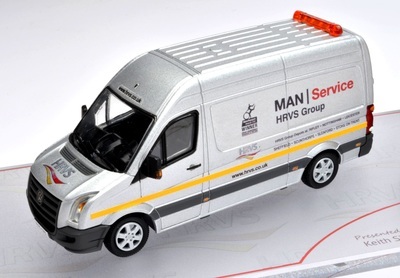 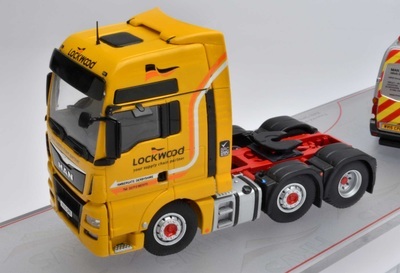 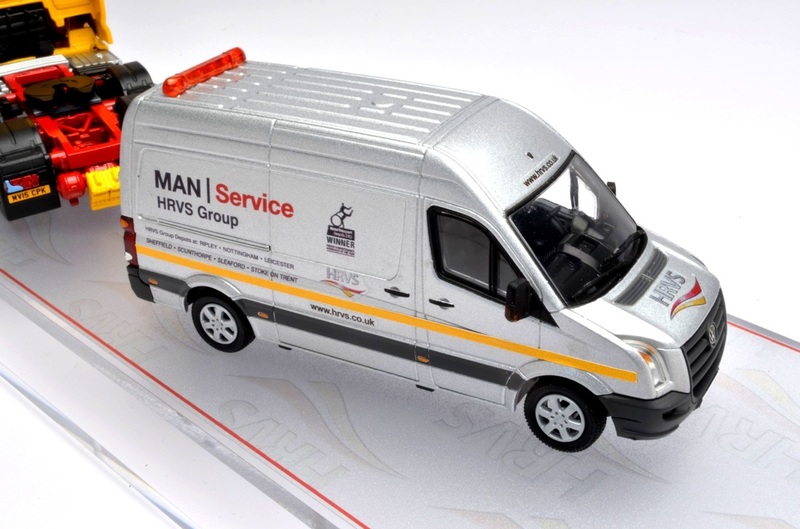 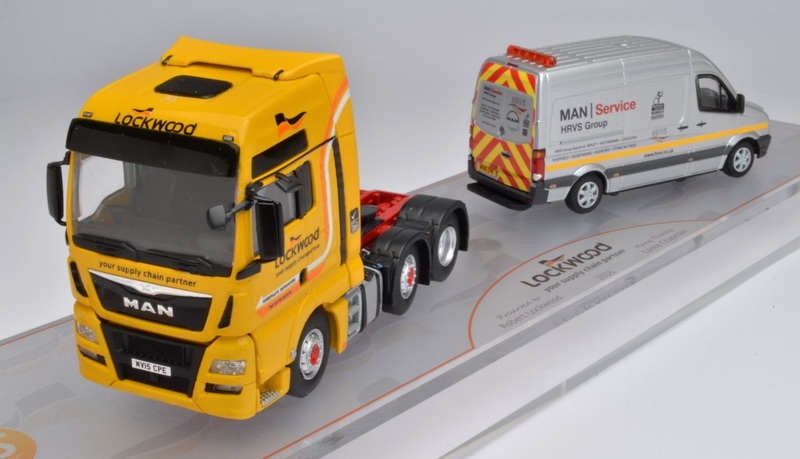 2 x 1:50 displays featuring a MAN TGX in Lockwood livery and VW Crafter van in HRVS livery. 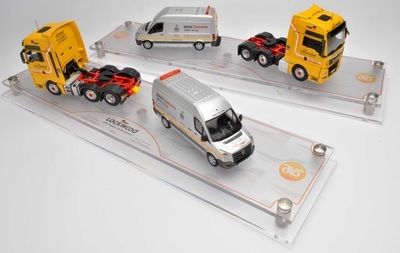 Identical models were mounted to acrylic display cases each featuring Lockwood and HRVS branding with the models orientated to emphasise the branding on the base. Models were commissioned as presentation gifts.